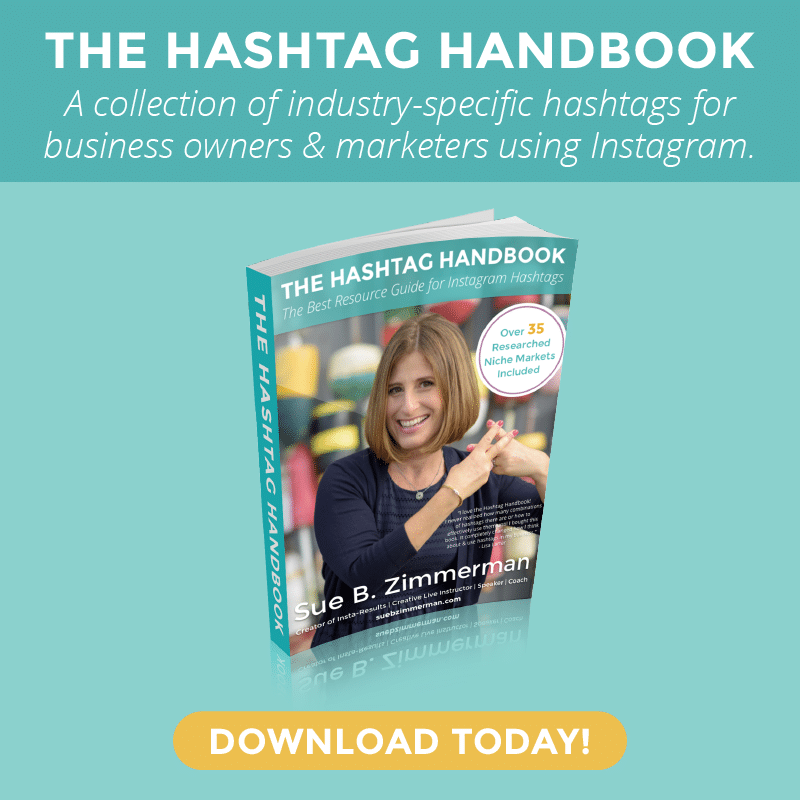 Most business owners know that hashtags are an important part of an Instagram strategy, but many still struggle to understand just how important hashtags are in getting more eyeballs on their account. But first, let’s start with Instagram hashtag basics: what is a hashtag? Essentially, a hashtag is a word or phrase that has a pound sign (#) in front of it. 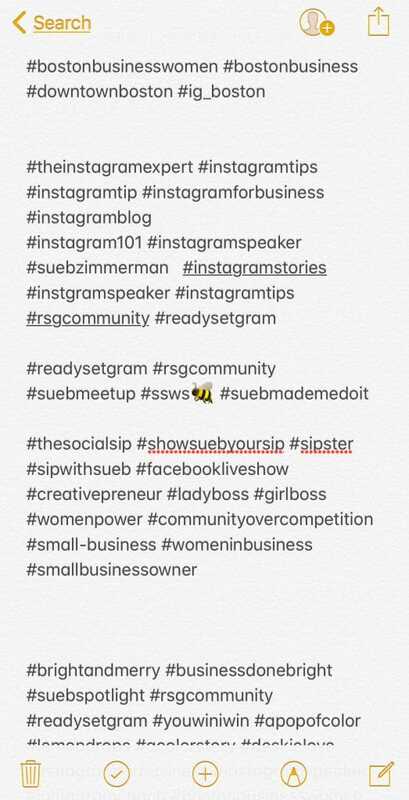 By adding the pound sign these words or phrases become clickable links that allow you to group yourself with other relevant businesses and individuals on Instagram – also known as hashtag hubs. Hashtags serve a dual purpose of helping you connect with other relevant influencers while also organically expanding your reach. Although the concept of hashtags seems simple in practice, there are plenty of ways to go wrong. Before you feel the pangs of a hashtag headache, here are three ways to improve your hashtag strategy. #1 Choose hashtags that people actually use, but not too many people. Creating a unique hashtag seems fun, but you will actually help your organic reach more if you use already existing, industry-relevant hashtags. Tapping into conversations that are already happening within your industry will allow you to get in front of customers that are more likely to be interested in engaging with your business. One business that does this especially well is Josefina Fernandez (@jf.illustrations). As a fashion illustrator, Josefina’s account is a beautiful cultivation of her original artwork and the locations and lifestyles that inspire her business. This diversity in content is reflected in the hashtags that Josefina incorporates into her strategy with every single post. Not only does Josefina use industry-relevant, but she also incorporates more timely hashtags depending on the timing of her post. 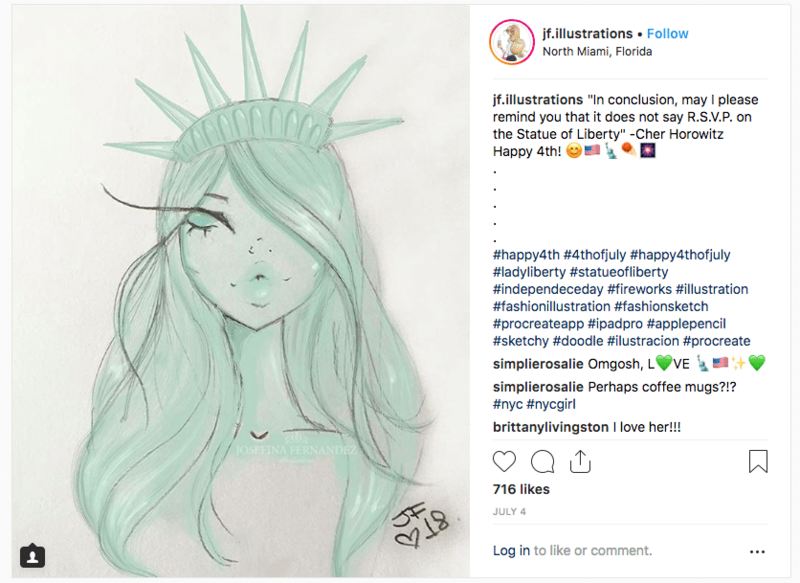 For example, on the Fourth of July, she posted an original drawing of Lady Liberty using hashtags suited for the holiday. These hashtags not only complimented her post, but they were still relevant to her content. You should always avoid using random hashtags that don’t relate to your brand or business. If you’re struggling to find hashtags for your posts, I encourage you to start with a brainstorm. 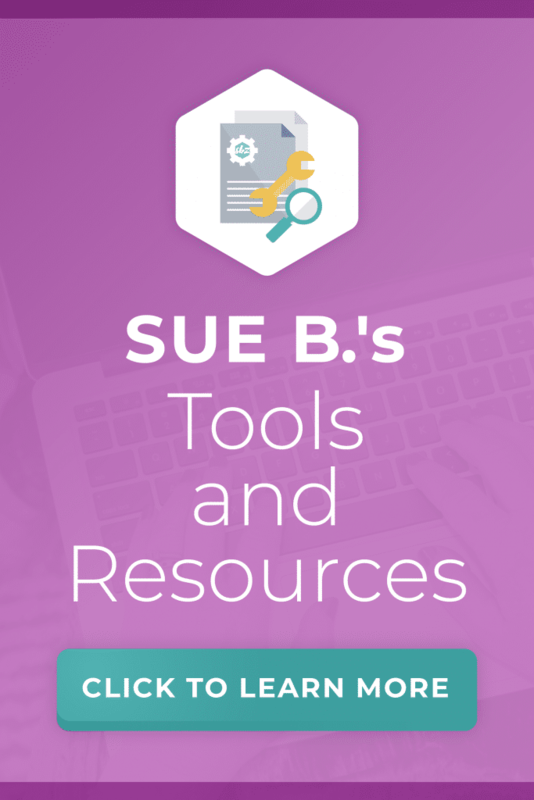 Jot down all of the terms or phrases that you think are relevant to your business. Once you have a rough idea, take a look at other posts from industry-relevant accounts. Do your hashtags align with what they use? Finding hashtags that work for your business requires dedicating the time to discovering new content. Even as your audience grows, you should always be tapping into these hashtags to make sure you’re continuing to use the most relevant hashtags for your business. Let’s be real, sometimes it can feel there are a #ShitTon of hashtag possibilities. 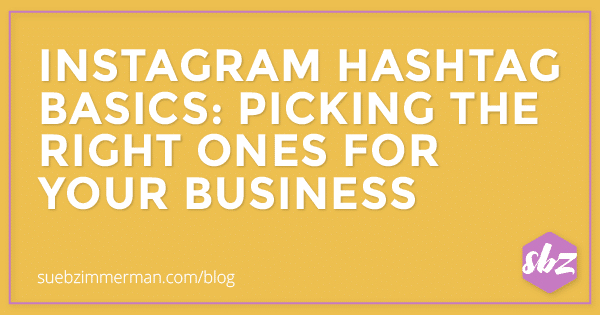 Research has shown that posts with 11 or more hashtags typically get the most traffic. No matter how many hashtags you choose to use, just remember that every hashtag counts. If you’re tossing in random hashtags, such as #beautiful or #fun, you are missing an opportunity to connect with potential customers. 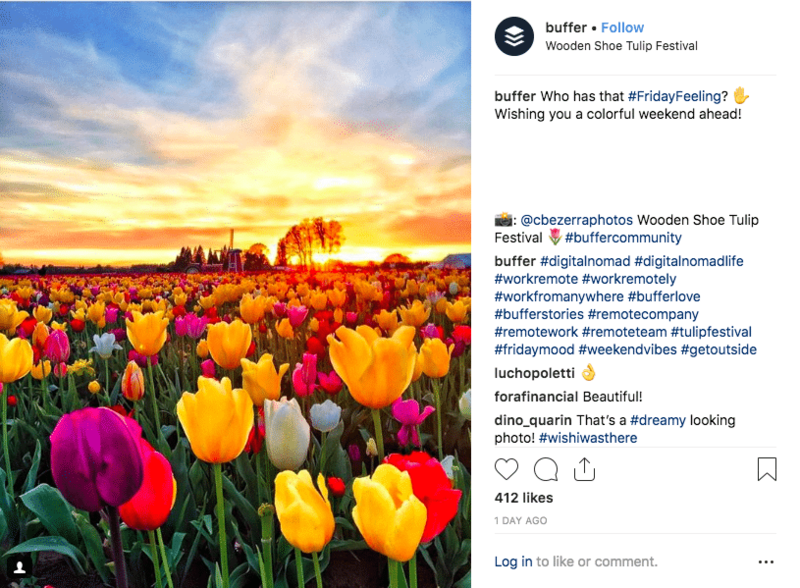 Buffer is a social media management tool that uses their Instagram to connect with #digitalnomads all over the world. One way they tap into their various audiences is with their expert use of location and business-relevant hashtags. Whether they’re sharing an aerial shot of Paris or a sunset off the coast of California, Buffer incorporates hashtags that are specific to the location of the photo while also keeping it relevant to their business. This hashtag strategy captures the attention of new audiences around the world, while also staying true to the brand’s mission. Ninja tip: Keep your Instagram captions clean by incorporating the bulk of your hashtags into your comment section. Much like Buffer does with each of their posts, they typically use about three hashtags in their post but put the rest in the first post comment. Just be sure to post your hashtags immediately in the first comment so they don’t get bogged down in the hashtag hub. This could be as simple as descriptions of your products, materials you use, or locally-sourced hashtags. Ideally, the right hashtags should ensure that your Instagram content is seen by an audience who is interested in your brand’s mission. Irrelevant hashtags will simply clog your account with unengaged followers or bots who will leave random comments like “nice shot” or “follow for follow.” Neither of these things will help you organically expand the reach of your business. Even in more nuanced businesses, brands can effectively leverage hashtags to tap into their customers’ specific interests. Editorr (@editorrapp) offers on-demand editing services. With a wide-ranging audience and an almost limitless possibility for hashtags, Editorr has honed in on using specific product or service hashtags that make sense to their business. While hashtags like #grammarfail and #spellingerror might seem general, hashtag research has helped Editorr to conclude that these are the hashtags that are most relevant to their business. 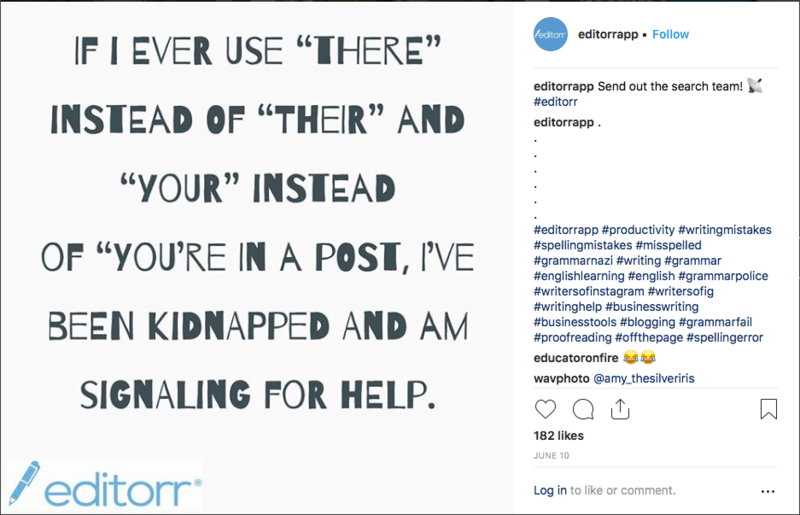 Even better, Editorr is always researching and adapting their hashtag strategy to make sure that they are tapping into the most relevant hashtag hubs. Ninja tip: Make a note on your phone or in one of your productivity apps with all of your go-to hashtags. Having your hashtags already drafted will save you a ton of time and minimize spelling errors. There’s much more to learn about hashtags. Understanding how they work and putting this tactic into practice are two different things. 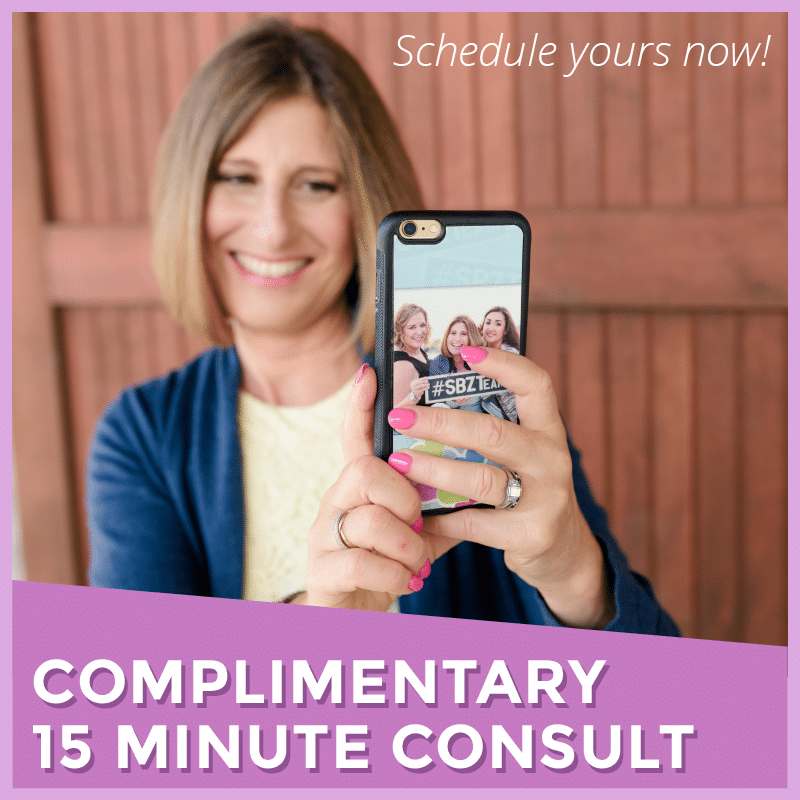 Register for my brand new Live Social Media Class: Advanced Hashtag Strategies for Instagram to learn how to brainstorm the best list of hashtags for your business and fully leverage them on Instagram. For a limited time, I’m bundling the class with my popular go-to hashtag resources, The Hashtag Handbook, a library of hashtags organized by over 35 categories. Learn more about both the class and handbook here.